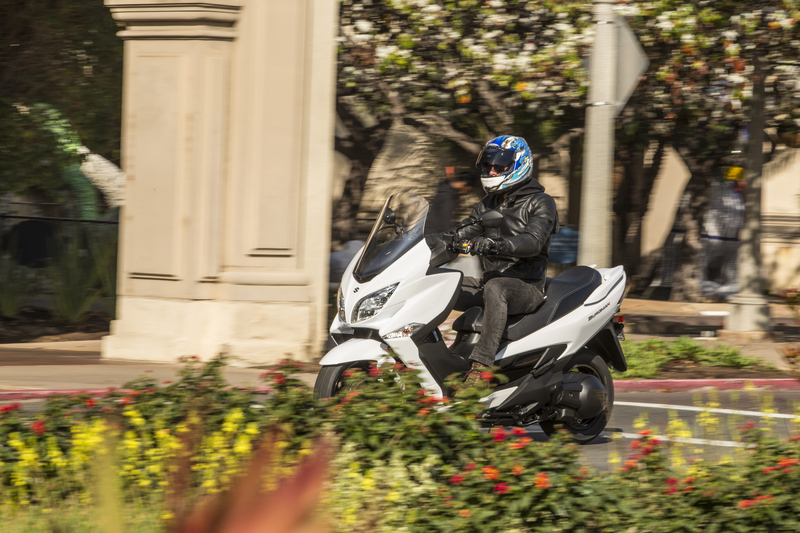 Scooters are often thought of as second-class citizens in the world of motorcycles and take a backseat to their more common, two-wheeled brethren. 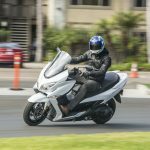 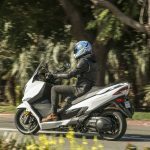 But in fact, scooters offer certain advantages and conveniences that regular motorcycles for the most part can’t even begin to compete with. 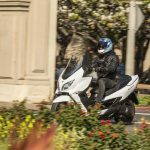 Admittedly, I’ve never really paid much attention to scooters, especially not maxi scooters, because I figured if you’re going to get a big-displacement scooter, why not just ride a regular motorcycle? 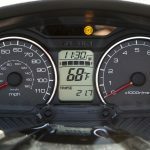 Well, I now know why. 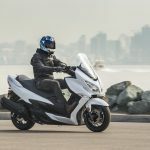 Don’t get me wrong, I would never trade a regular motorcycle in favor of a scooter (well, so long as I could still properly ride one), but adding one to the existing stable for sheer convenience? Maybe. 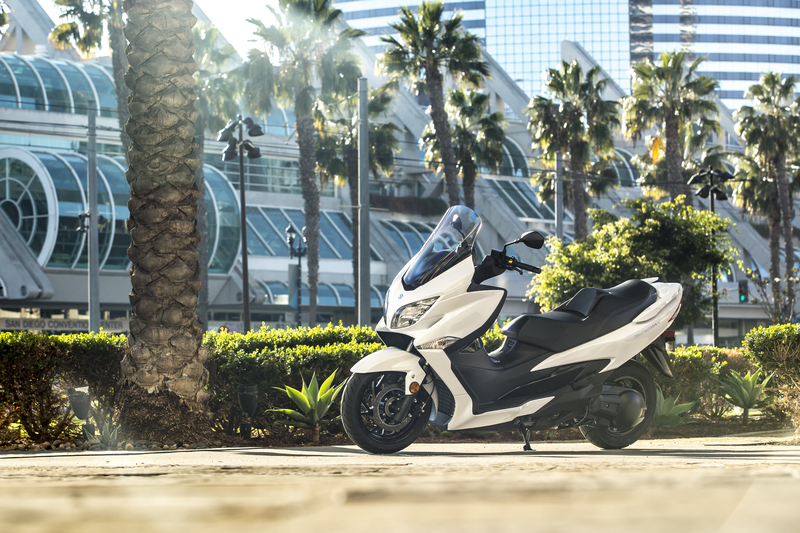 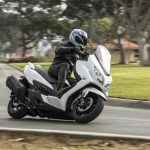 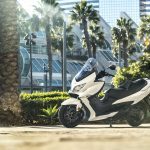 The real-world application and practicality of a scooter like the Burgman 400 is unparalleled compared to its more traditional motorcycle counterparts. 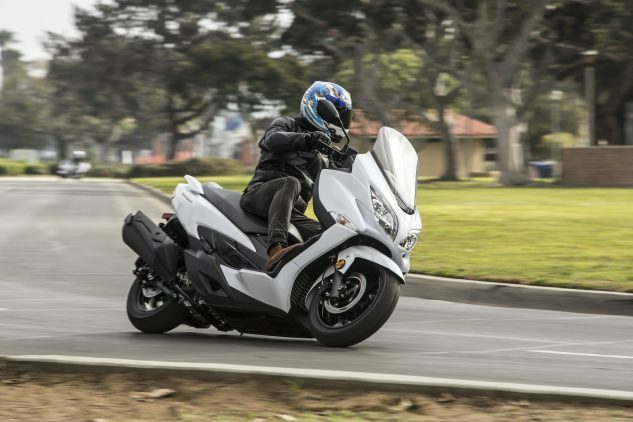 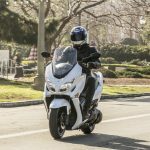 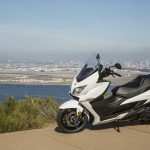 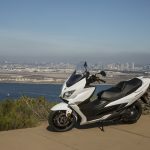 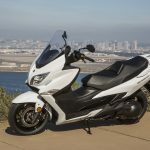 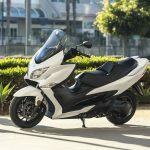 The all-new 2018 Suzuki Burgman 400 is quite the package. 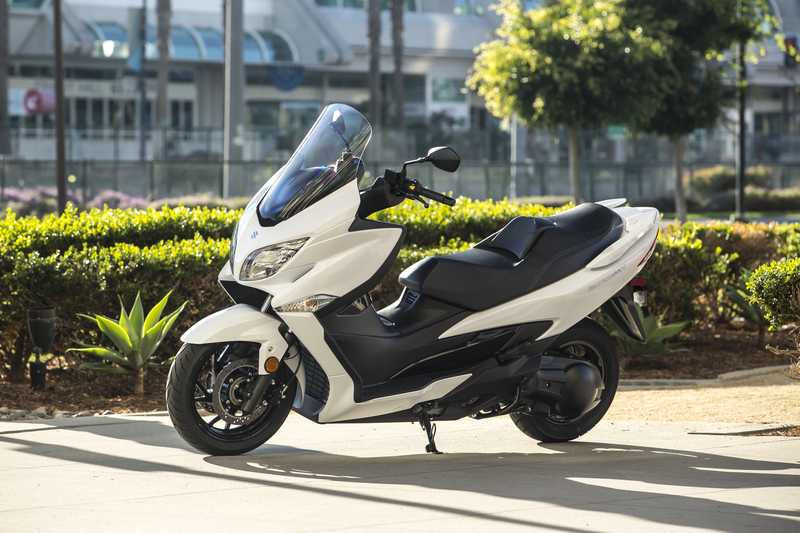 It features just about everything you need, and nothing you don’t, as a form of two-wheeled transportation. 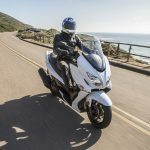 For starters, its fuel-injected DOHC 399cc, liquid-cooled, single-cylinder engine is retuned to deliver more low- to mid-range torque and provides more than enough mustard to move things along. 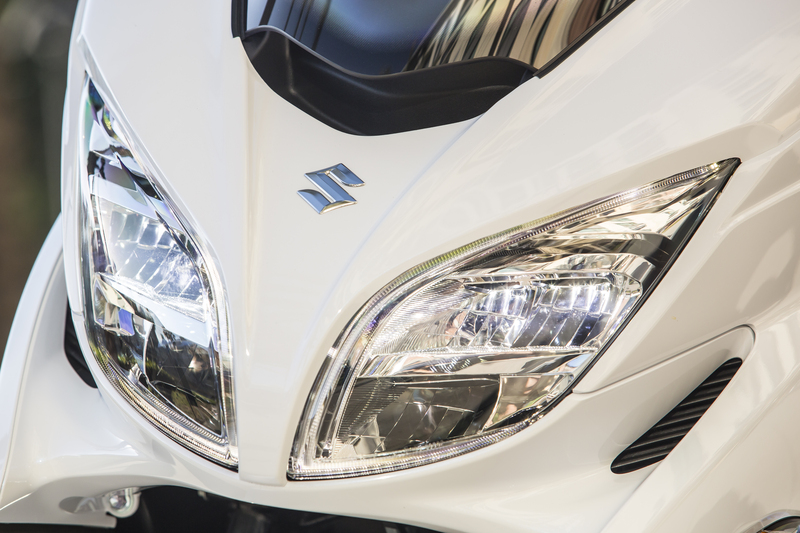 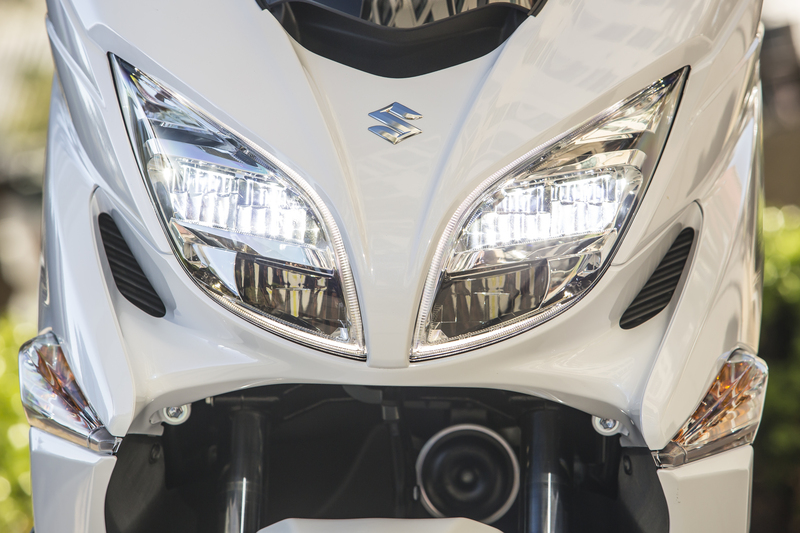 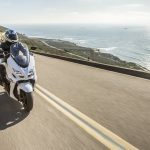 Suzuki claims the revisions added 3% more power and created 12% more fuel efficiency. 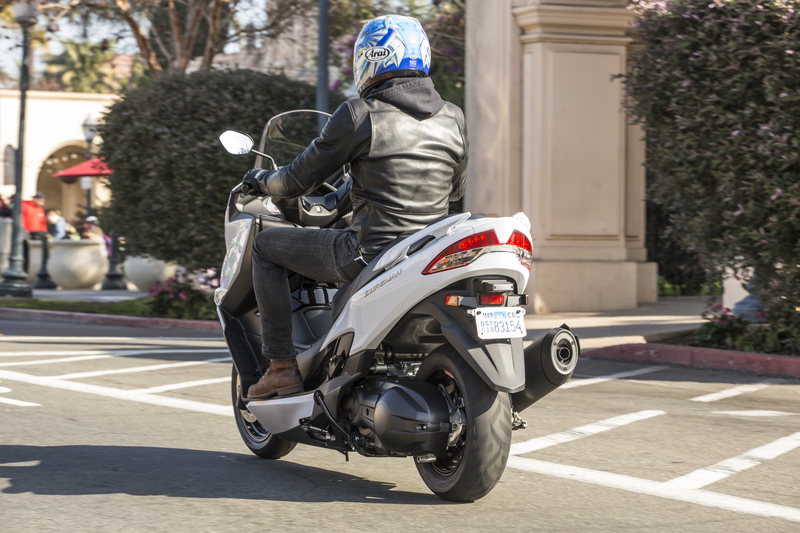 The motor, paired with its seamless, CVT automatic transmission, makes navigating the stop-and-go traffic of the concrete jungle a breeze. 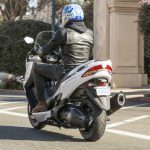 Its simple twist-and-go mechanics ensure that anyone can quickly get used to piloting the scooter if they don’t already know how to ride, which makes the Burgman an attractive option for someone who might be interested in all the time- and money-saving benefits of riding on two wheels in a congested city without the need to learn to shift gears. 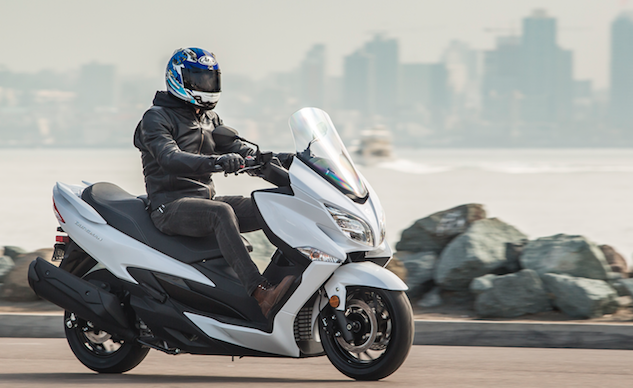 I keep mentioning the urban environment – where more and more people are living and migrating to these days – because it’s the perfect habitat for the Burgman 400. 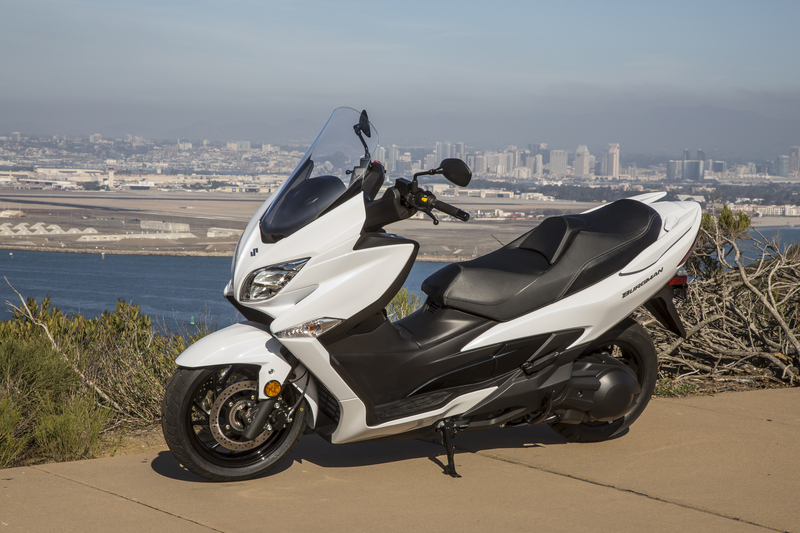 It truly lends itself well to city life due to its ease and convenience of use. 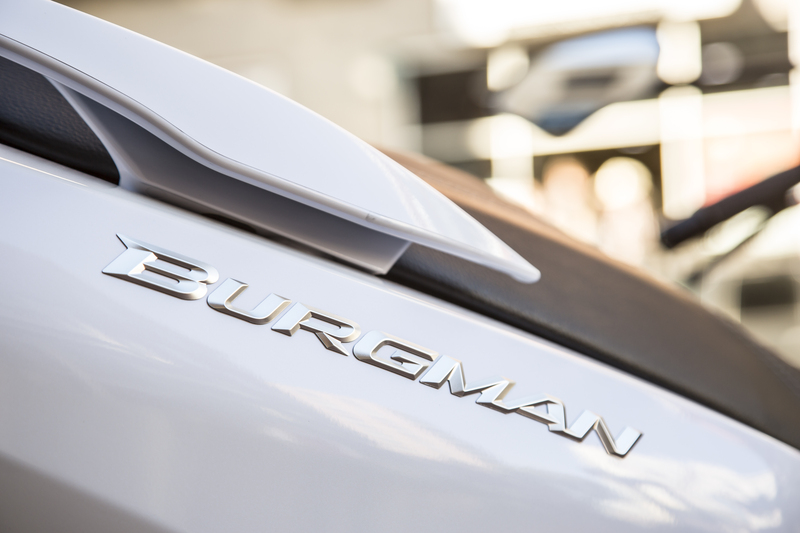 The feature that quickly comes to mind is the Burgman’s amount of storage capacity. 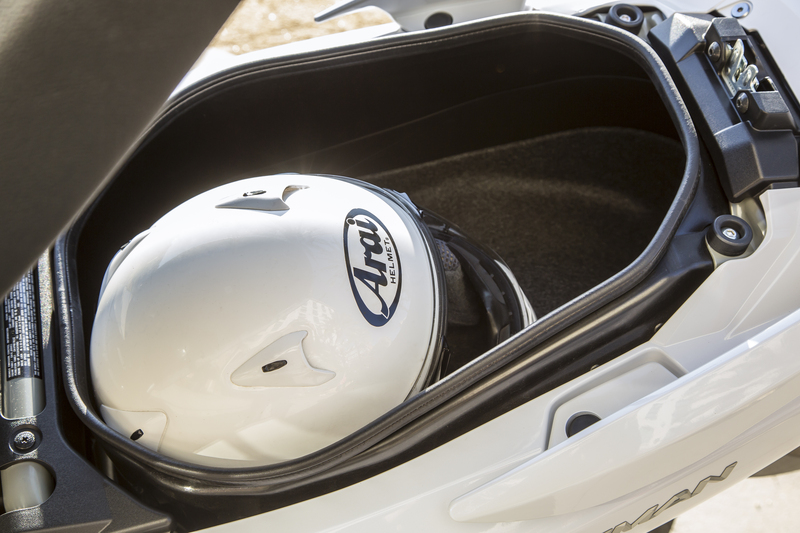 The underseat compartment provides 42 liters of space, which basically translates to enough room for a full- and three-quarter-face helmet plus whatever smaller items you may have. 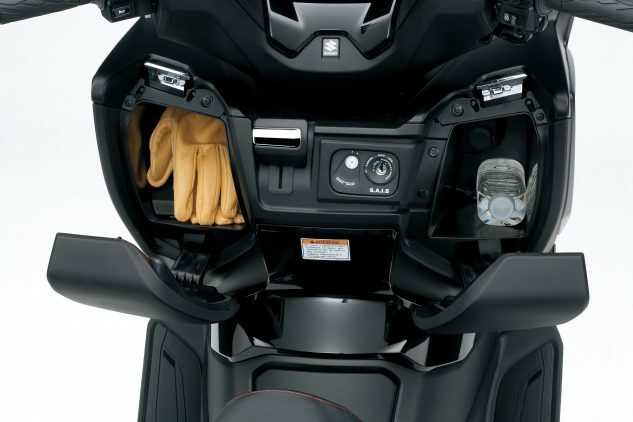 I used it to store my full-face, leather jacket, gloves and sweatshirt while stopping for lunch, and there was still a good amount of space to throw some other stuff in as well. 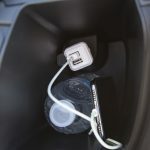 I pretty much just haphazardly threw everything in there, but if you thoughtfully packed in all your items, you could carry quite the load. 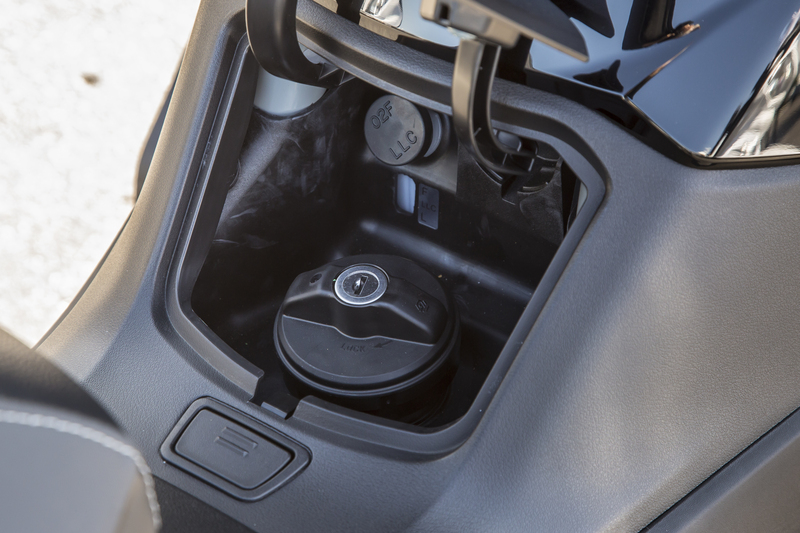 With 42 liters of carrying capacity under the seat, the Burgman 400 makes two-wheel travel easy peasy lemon squeezy. 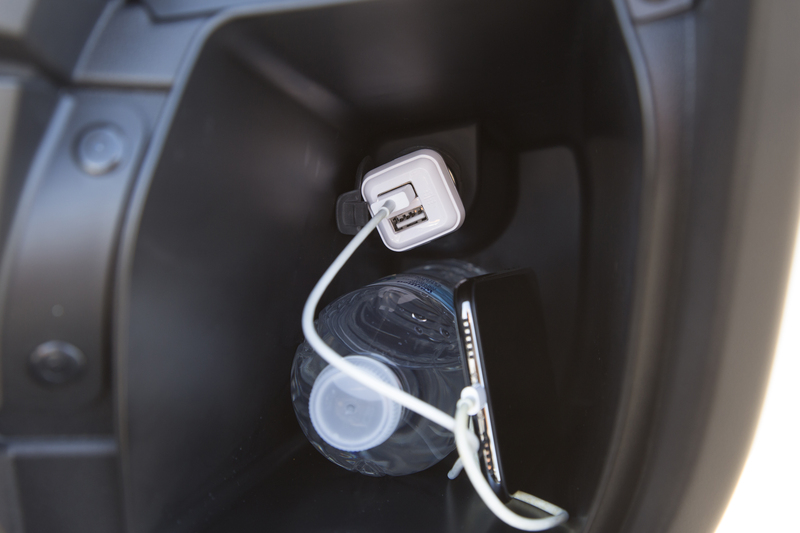 I don’t think this picture does the compartment justice, it’s bigger than it looks. 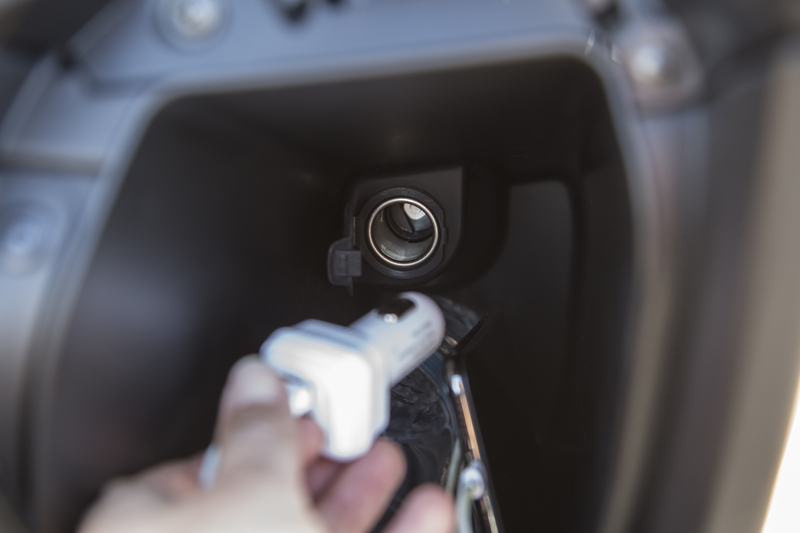 Adding to the security of the Burgman is a special magnetic key with a unique cut-out that slides a security shutter over the ignition switch to prevent thieves from tampering, and a gate in the lower portion of the bodywork that allows a chain lock to be passed through and around a frame member to be secured around some sort of an immovable object, like a pole for instance. 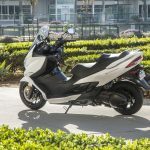 On the handling and chassis side of things, the Burgman 400 is equipped with a larger 15-inch front wheel (up from 14 on the previous model) and a 13-inch rear. 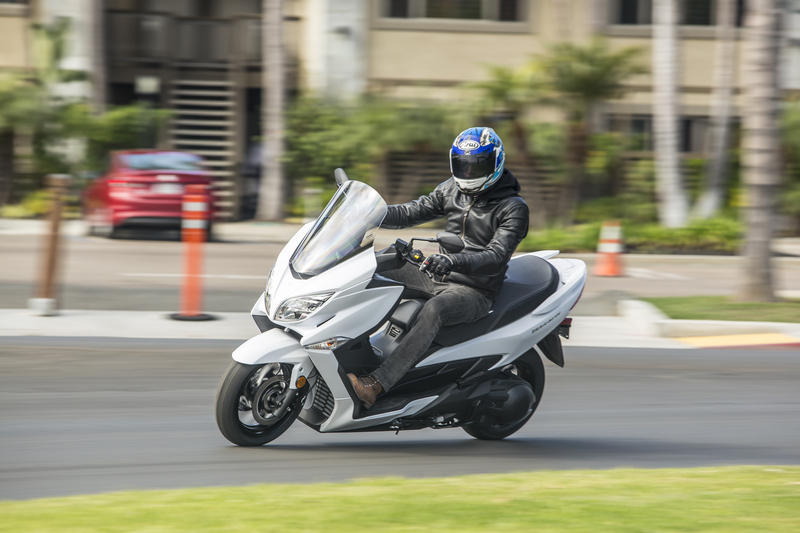 They’re wrapped in 120/70-15 and 150/70-13 sized rubber that give the Burgman a solid footprint for both impressive lean-angle cornering as well as high-speed stability. 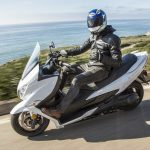 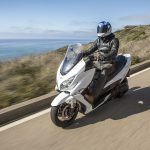 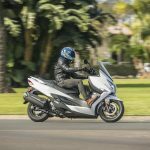 The Burgman 400 felt equally at home while doing 80 on the freeway as well as planted while leaned over, without the typical fall-in tendency that comes with smaller-diameter wheels. 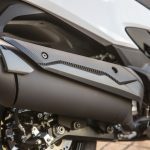 Adding to the chassis’ improvements are a new underbone frame constructed from larger-diameter, thinner-walled tubes; less weight and increased rigidity result in improved handling. 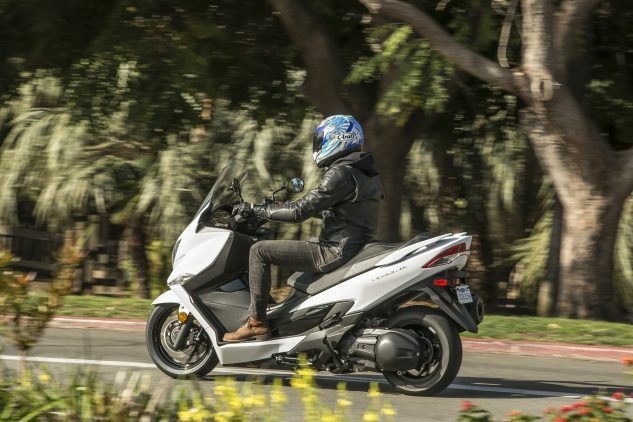 Obviously not a sportbike by any means, but the Burg doesn’t mind tilting the horizon thanks to its larger 15-inch front wheel and 150mm wide rear tire that provide a nice contact-patch as well as added stability. 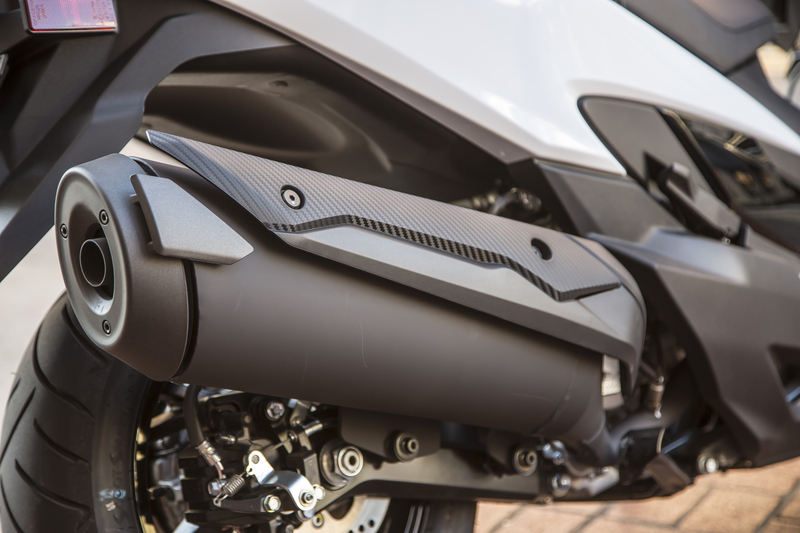 The Burgman 400 has a 41mm telescopic front fork that offers 4.3 inches of travel and a horizontally mounted link-type monoshock in the rear providing 3.9 inches of cushion. 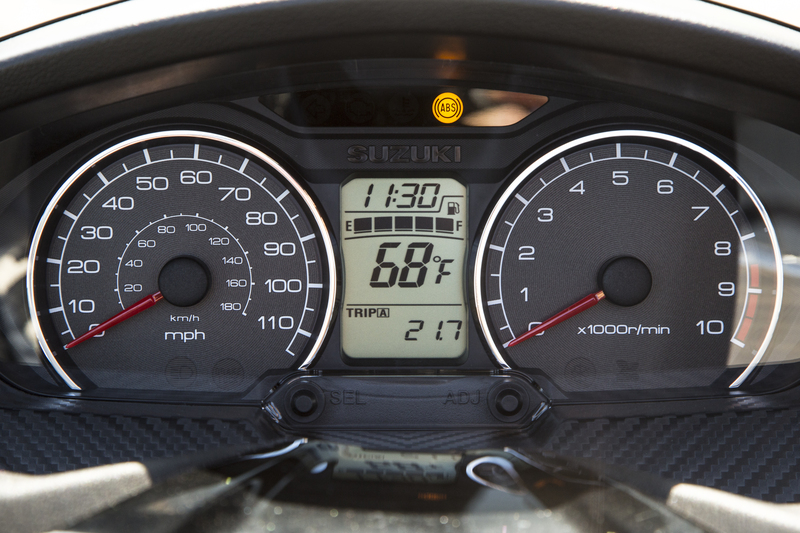 The fork is non-adjustable, but the shock has seven different preload settings. 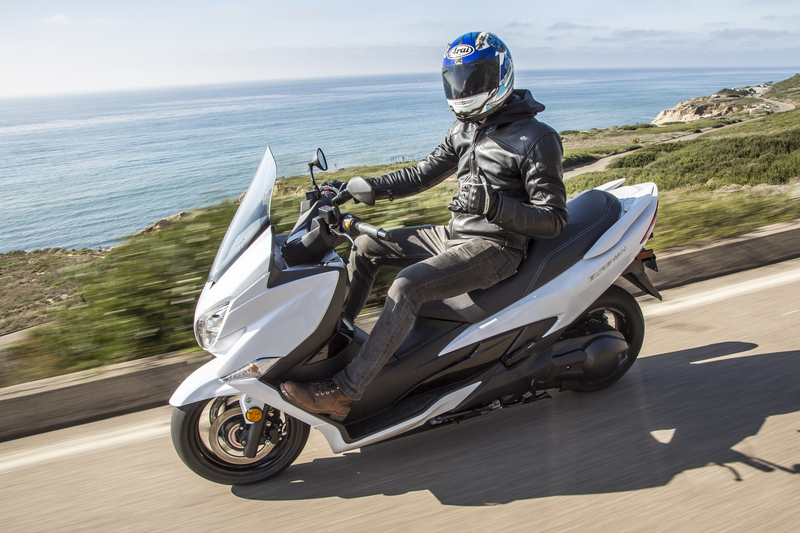 Overall, the suspension performed just fine for what you would expect from a large scooter. 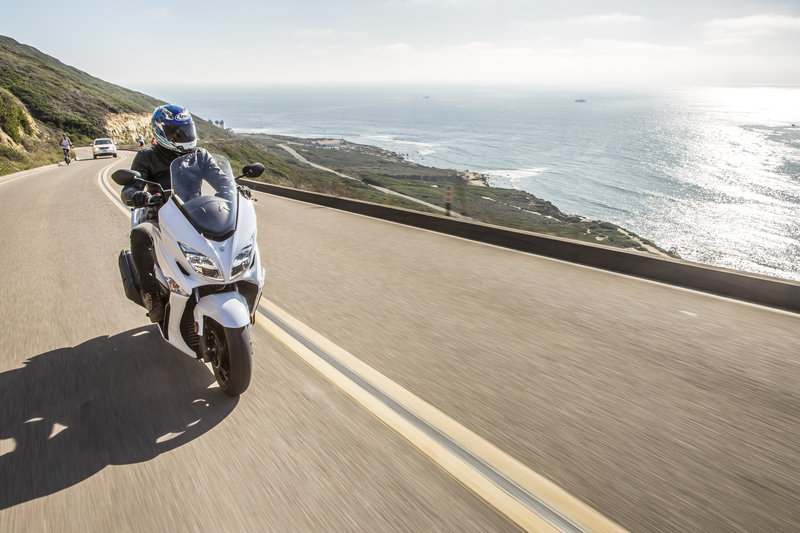 From potholes to train tracks, the Burgman soaked up nicely everything a city’s streets could throw at it. 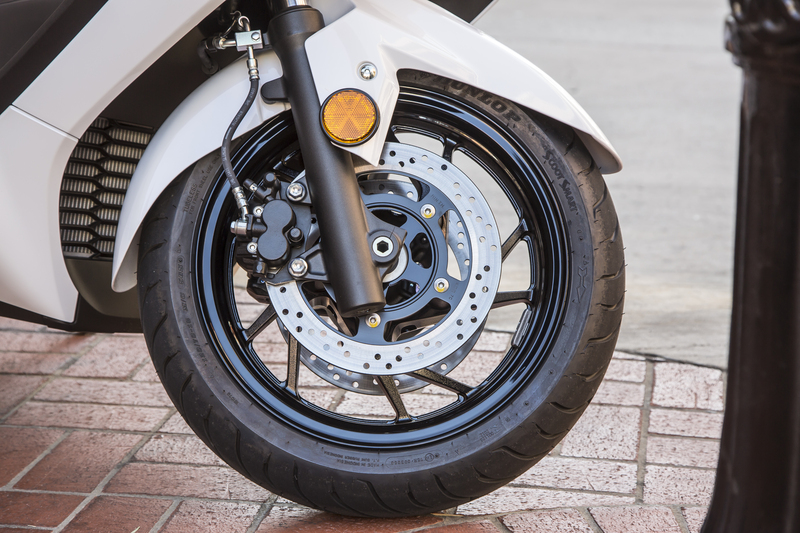 Slowing things down are a pair of 260mm rotors in the front bound by two-piston calipers, and a 210mm disc in the back mated to a single-piston caliper. 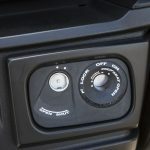 ABS comes standard, and the whole control module weighs 1.6 pounds less than the previous model. 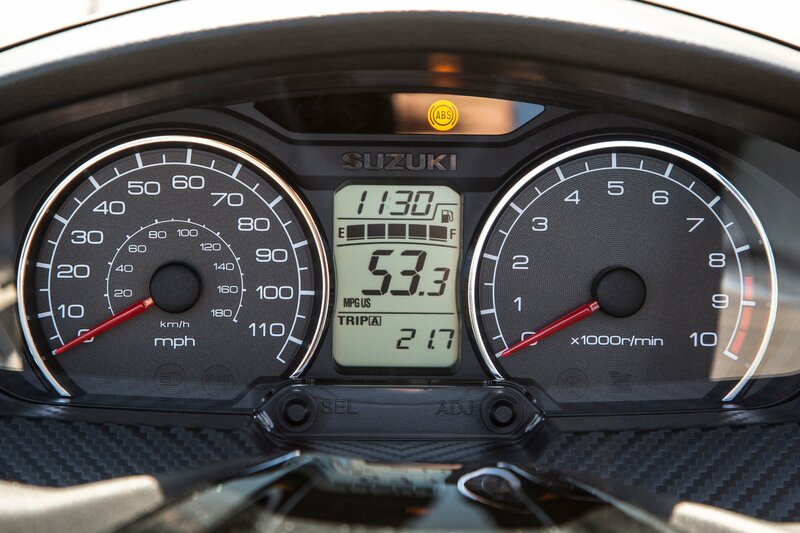 The system works remarkably well, too. 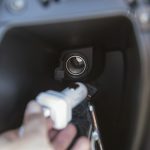 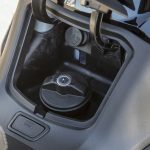 The rider can just about squeeze both brake levers (which are not linked) as firmly as he or she can, and all 474 (claimed) pounds of the Burgman 400 are brought to a very predictable stop without any large weight shifts or balance disruptions. 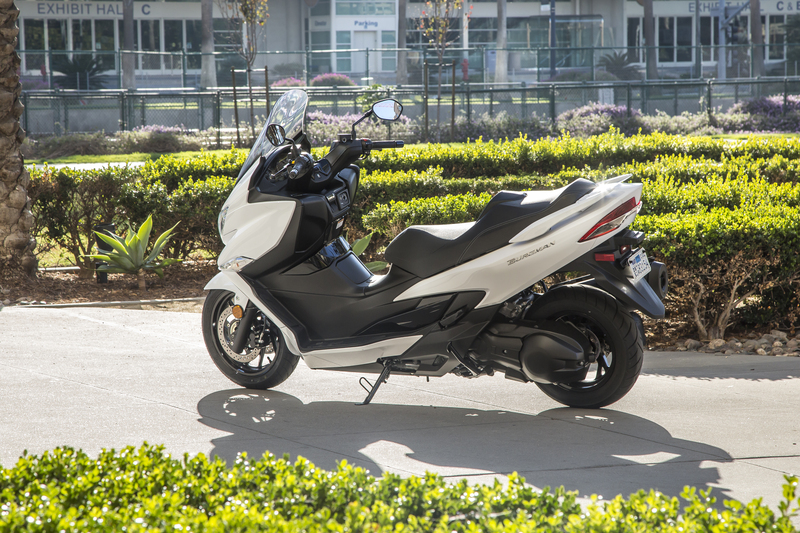 I only ever noticed the ABS kicking in on the rear wheel, while the front grabbed well with solid initial bite and linear feedback. The redesign of the scooter’s frame has kept the weight and center-of-gravity very low in its chassis, and this undoubtedly plays a large part in the Burg’s smooth and stable operation. 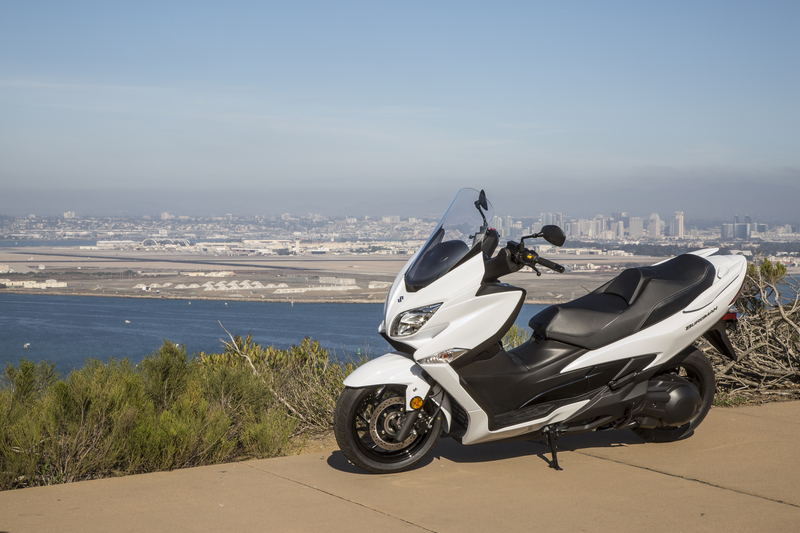 It’s a surprisingly nimble ride. 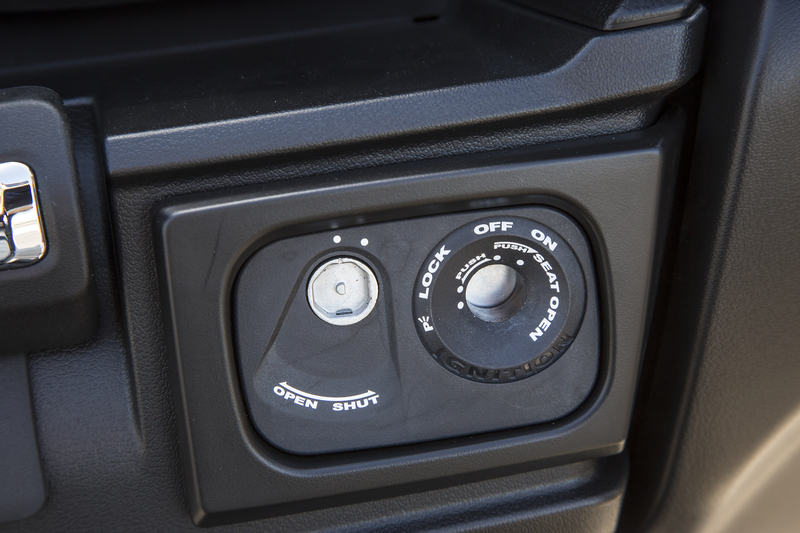 Ergonomics provide an upright seating position, but the footwell offers a nice dance floor to stretch and move your feet around on. 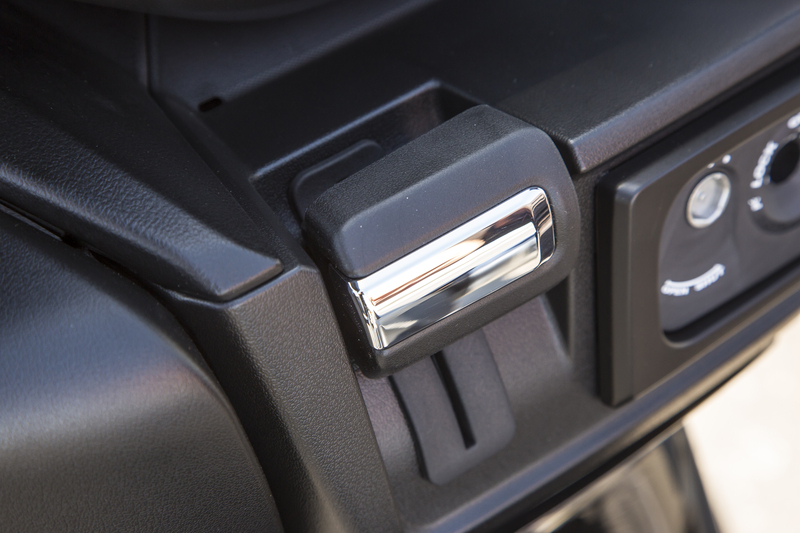 Ergonomics were overhauled as well. 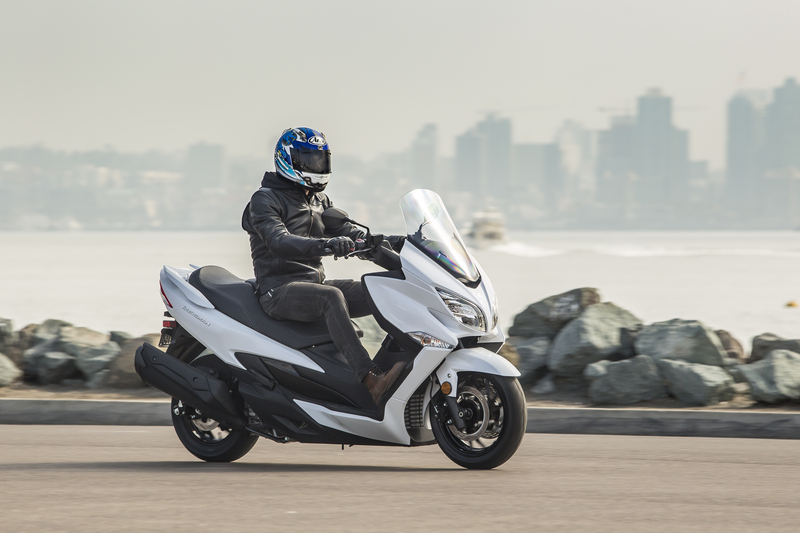 The 2018 Burgman 400 has a new stepped seat whose width and profile is not only slimmer, but the padding is almost an inch thicker too, resulting in a comfortable 27.9-inch seat height. For those with shorter legs, the step-through frame design and cutaway floorboards allow an easy reach to plant both feet firmly on the ground. 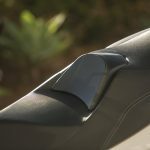 The footwell offers plenty of room to stretch out your legs, even for my 6-foot-1 frame, and there’s adjustable lumbar support as well, which can be moved forwards and back about 1.5 inches total. 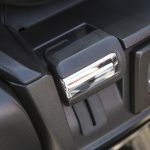 Passengers will be pleased too, as they have a nicely sculpted portion of the seat with large and easy to grip grab handles to keep them securely in place. 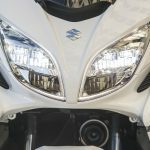 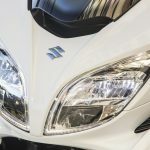 The 2016’s windshield and front fairing vs. the 2018’s (there was no 2017 model as Suzuki took a year to redesign the whole scooter). 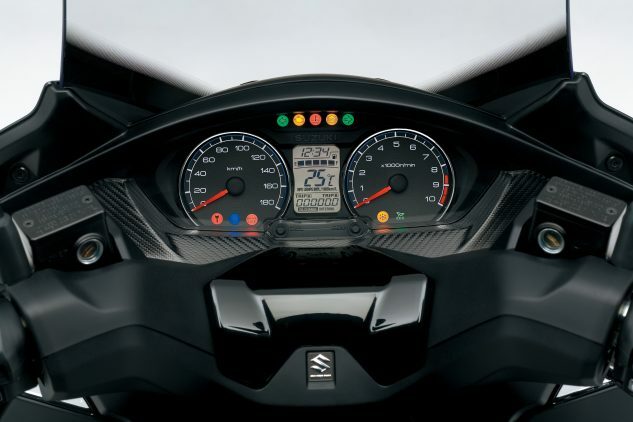 Everything has been slimmed down and styled more aggressively. 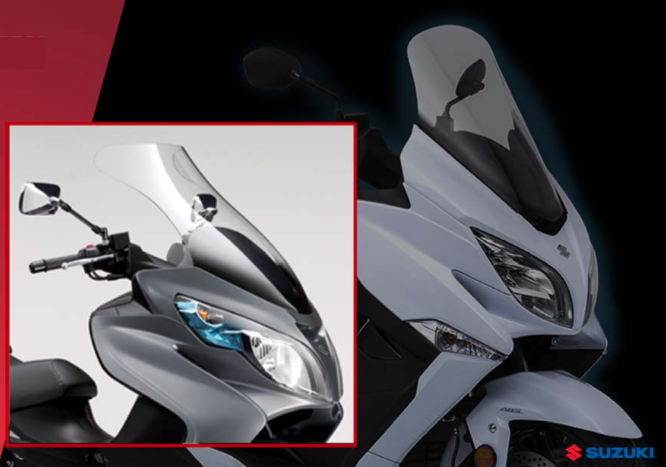 The ’18 windshield is also less than half the surface area of the ’16, but is claimed to offer better wind protection. 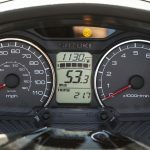 Well laid out and easy to read, the Burgman 400’s instrument panel provides everything you need, and nothing you don’t. 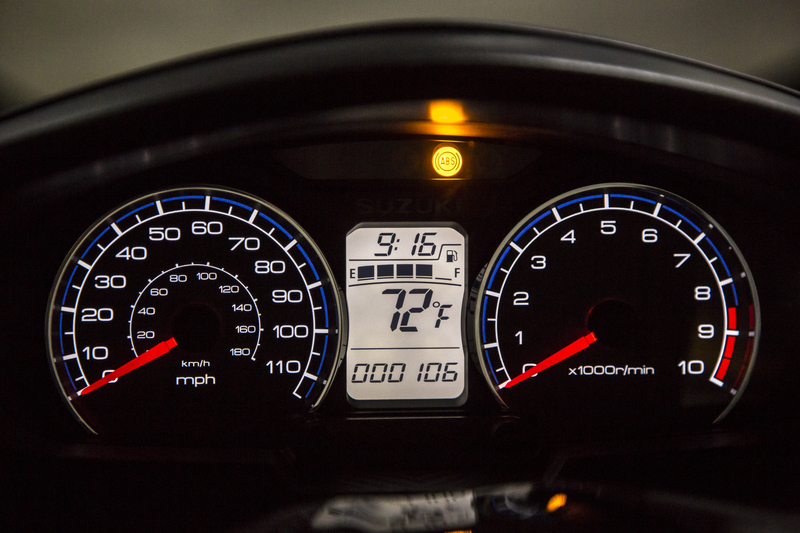 The green “Eco” light is at the bottom of the tach. 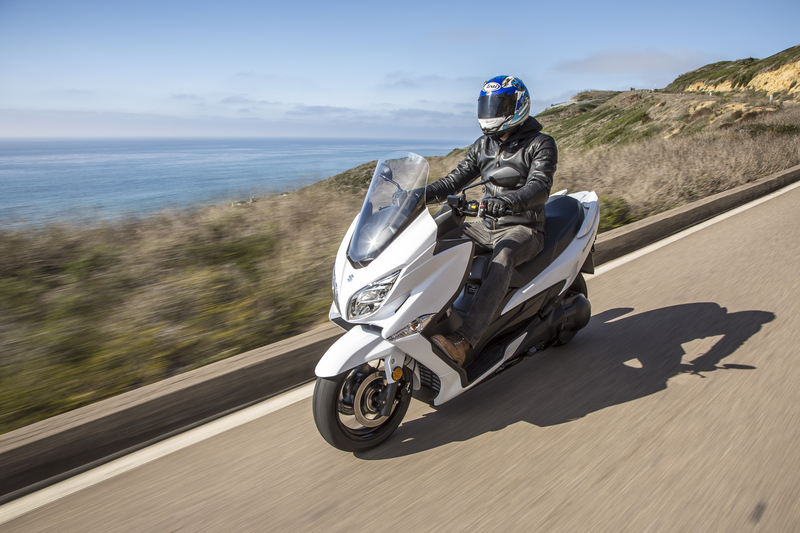 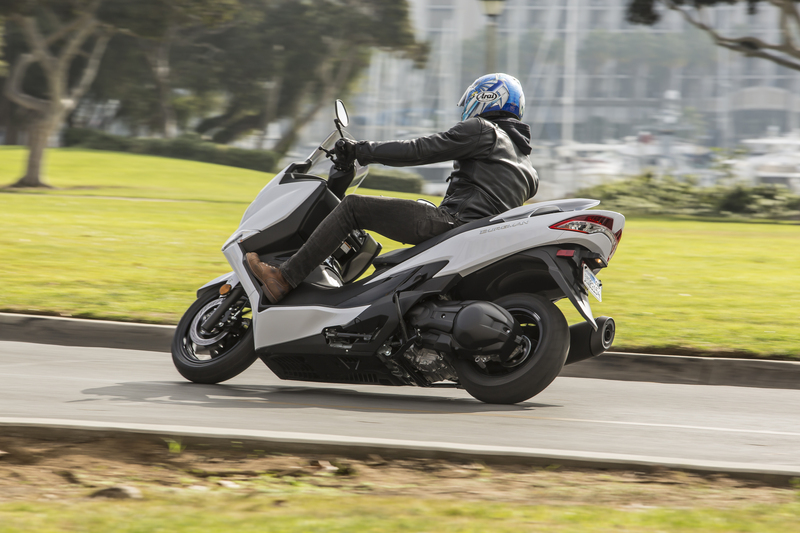 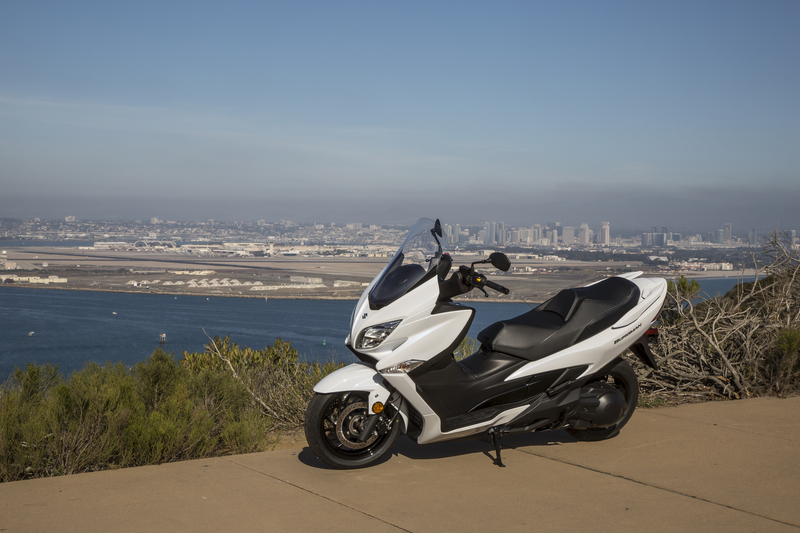 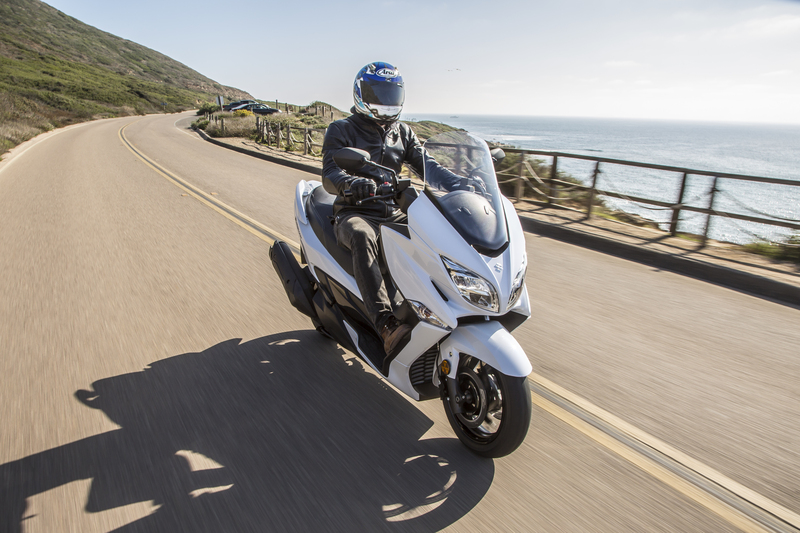 Overall, the Burgman 400 provides all the features and amenities that anyone would want from a two-wheeled vehicle. 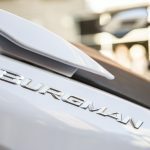 I say vehicle, not because the Burgman isn’t a motorcycle – it obviously is – but because it offers features almost more similar to a car than a traditional motorcycle in terms of its carrying / storage capacity, practicality and ease of use. 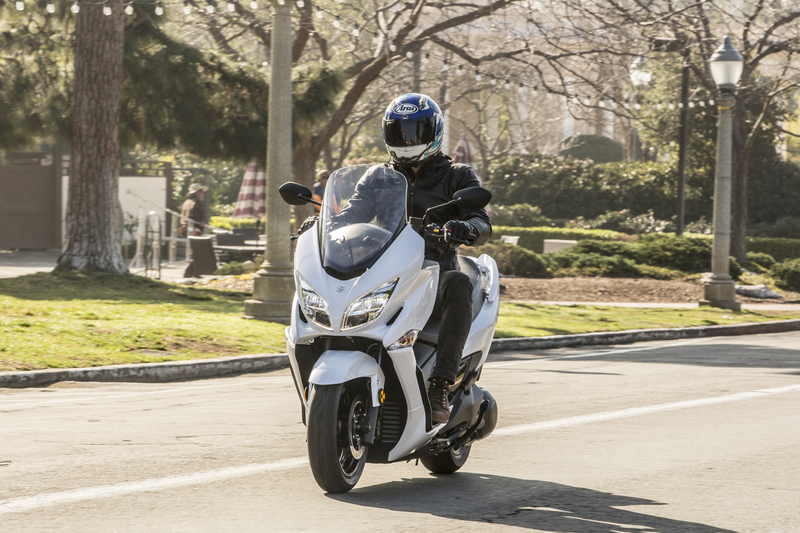 This scoot could easily double as an urban commuter as well as a tourer for when the urge to escape the city strikes. 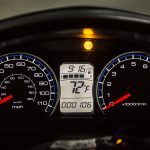 I was able to achieve a fuel economy of approximately 52-57 mpg over the course of the day across stop-and-go traffic as well as highway cruising, giving the Burgman almost a 200-mile range from its 3.6-gallon tank. 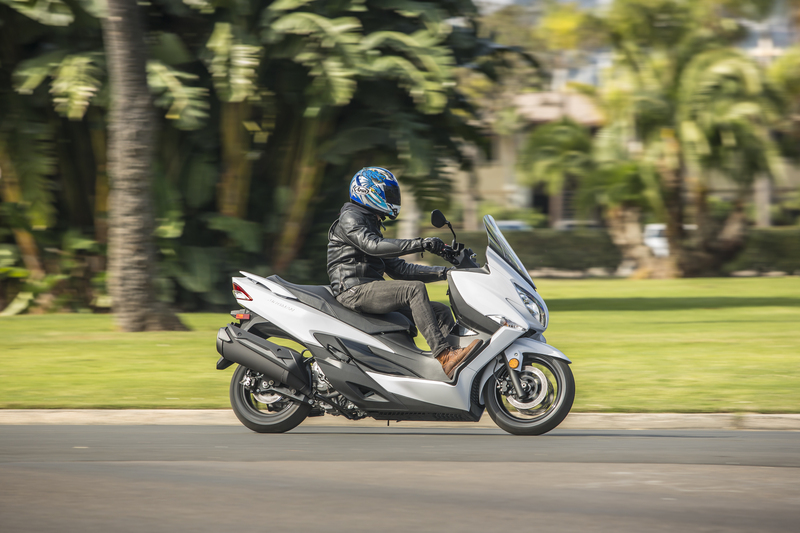 The Burgman 400’s convenience and ease of use, paired with its low cost of ownership including fuel, maintenance and insurance, could offer a potential owner, regardless of their riding ability, a lot of utility that a typical motorcycle would find difficult to match. 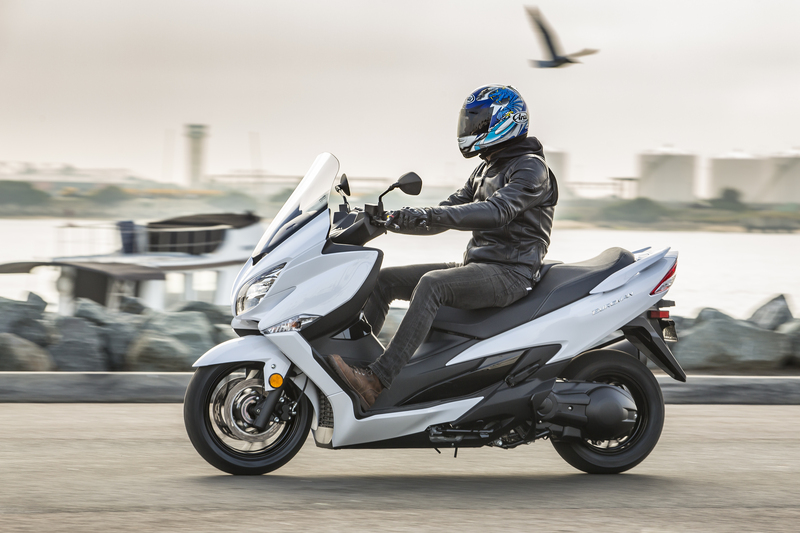 My day with the Burgman has given me new perspective on how scooters could entice prospective riders that might be somewhat intimidated by regular motorcycles or for someone just looking for something more practical than a car. 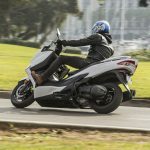 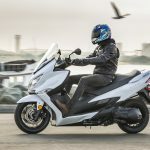 If buying a scooter like the Burgman 400 encourages more people onto two wheels, then I’m all for it.